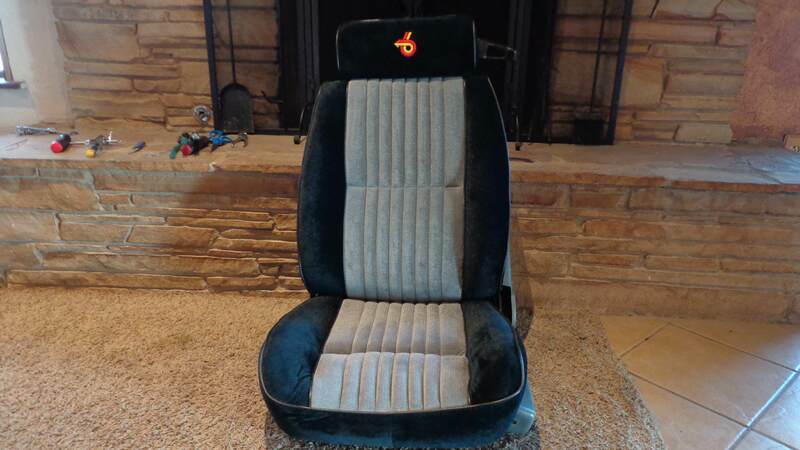 Here are some pics and info from my install of new foam on the drivers seat. 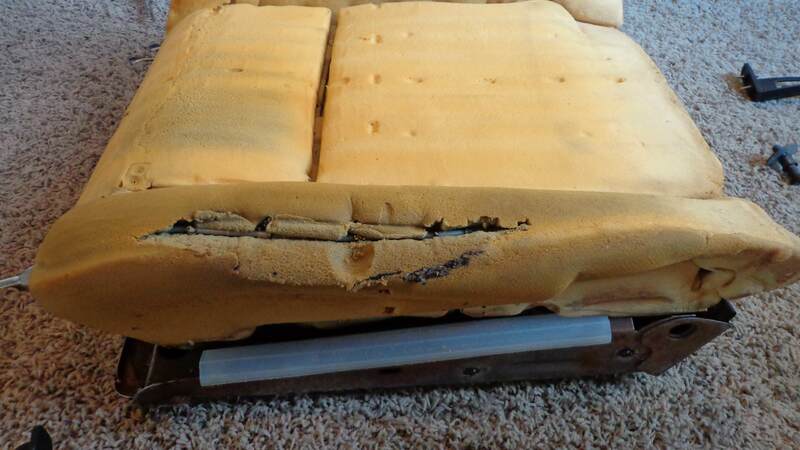 The old seat foam was pretty worn and 3 of the wires on the bolster were broke. There were no modifications required for the lower other than a cut for the small bracket that a screw goes into for the lower trim(power seat). The upper did need a small modification though as seen in the pic. The monte foam was a nice fit, but the thin metal wire inside the foam doesn't go as high up the seat as the GN foam, and doesn't extend as low as the GN foam. Also, it appears that some of the horizontal wires were crooked(as you can tell in the pic). It doesn't appear to have affected the lines of the completed seat though. The 2 metal rods that extend the length of the upper seat do have to be wrestled into place. Not a real easy fit, but maybe this is a characteristic of having new seat foam. It is also precut for the headrest. The seat cover did have to be pulled pretty tight to go over the new foam. So tight at some points, that I was concerned about the stitching pulling out. That did require a little massaging, but everything eventually went together nicely. There were some bad wrinkles(where the seat cover fabric was under a lot of stress), but a steam gun worked those out for the most part. 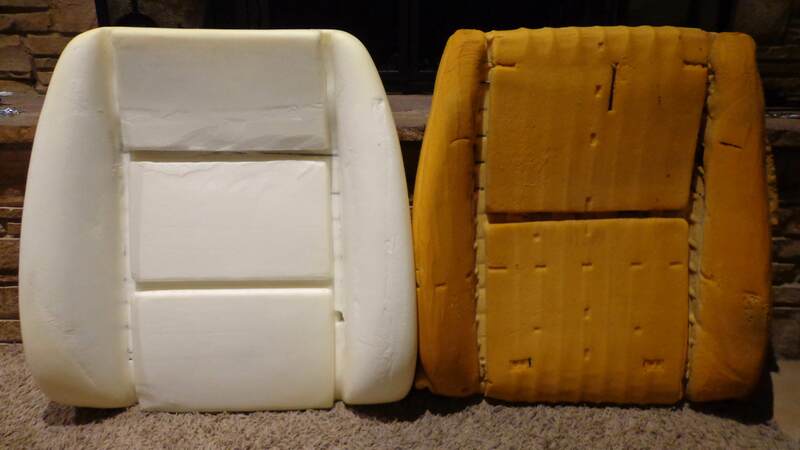 This was the first time I've recovered a seat using new foam, and I'd say it's pretty easy. Time consuming yes, but can be done by anyone willing. What does the Monte foam do, add bolstering ? I don't think there's really anything special about it. 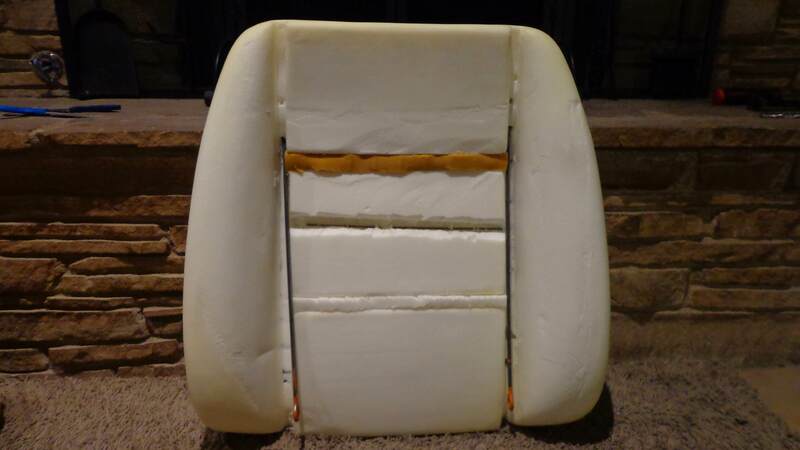 Since there doesn't seem to be a source for the proper seat foam for our cars, the Monte foam is the next best thing. It's a pretty easy job and great for winter because you can do it in the living room.